"Cities, states and other local governments have been effectively shut out of the bond markets for the last two weeks, raising the cost of day-to-day operations, threatening longer-term projects and dampening a broad source of jobs and stability at a time when other parts of the economy are weakening. The sudden loss of credit, one of the ripple effects of the current financial turmoil, is affecting local governments in all parts of the country, rich and poor alike. Washington has shelved a planned bond offering to pay for terminal expansion and parking garages already under construction at Dulles and Reagan National Airports. Billings, Mont., is struggling to come up with $70 million more for a new emergency room. And Maine has been unable to raise $50 million for highway repairs. “We really are in terra incognita here,” said Robert O. Lenna, executive director of the Maine Municipal Bond Bank, which helps that state’s towns and school districts raise money. He said he had worked in public finance for 34 years and had never before seen credit evaporate so completely. Maine had already begun some of its road work when the bond markets stopped functioning, so now it is scrambling for bank loans to keep the dump trucks rolling. If money does not start flowing soon, Mr. Lenna said, Maine will have to cancel some of its road and bridge projects." "The most immediate need is $1.3 billion in quarterly payments that are scheduled to go out to cities and towns next week. Municipalities use the money to fund everything from teachers to trash collections. Cahill said it appears likely that cities and towns will get their local aid payments - preventing layoffs and cutbacks in municipal budgets - but he said he has had to jump through a complex set of financial hoops to make it work. Cahill and other state officials characterize the borrowing maneuvers as common ways to make payments before all of the tax revenue comes in. But the state usually is not this strapped this early and facing interest payments this high. The state yesterday borrowed $51 million in a short-term loan from investors, at an interest rate of 6 percent for a practice that normally charges 2 percent interest. In order to make local aid payments, the state still needs to borrow up to $349 million in similar loans before next week. State officials fear a similarly high interest rate. "This stuff is unheard of," Cahill said. "It's like going to the loan shark for money."" Heading into a recession is the worst time to cut back on projects like these, which provide people with good jobs, and can work to keep the economy going. The Federal Government can run a deficit, but most states cannot. So just at the time when people need these jobs the most, they end up having to cut back. It makes problems with the economy worse, when keeping these projects going would help to make it better. "This is a failure of politics. Like with global warming, with health care, with the national debt, with immigration. It is further proof that we have a calcified political system incapable of responding to either long-term threats or short-term crises. The electoral and partisan incentives have made actual action too dangerous and rendered obstruction everyone's easy second choice. And in politics, you just about never get your first choice. And so the Republicans killed this bill. Without their cover, the Democrats couldn't save it, because politically, they couldn't take ownership of it. It's easy enough to imagine a society running atop a stable economy even when it has an unhealthy politics. And it's simple enough to see how an unstable economy can be calmed through concerted action by an effective political structure. But an economy in chaos and a political system in paralysis? What happens then?" Good question. Our dysfunctional politics places some good options off the table, makes others much more difficult to implement than they would be otherwise, and prevents us from adopting those decent options that remain to us. Consider, for instance, Brad DeLong's suggestion that we "go for the Swedish plan." I think that if we can't get a bill passed this week, we should do exactly that. But it would be a lot harder to implement here than it would there, and not just because our problems are much larger, and in certain ways more complicated. During the most recent debate - as well as in the weeks preceding it - the McCain camp tried to score political points based off of Obama's statement regarding air strikes targeting al-Qaeda in the tribal-ruled Waziristan region of Pakistan. By way of background, in one of the Democratic primary debates Obama stated that if he were president and he had reliable, actionable intelligence on the whereabouts of bin Laden in Waziristan, and if the Pakistani government were unwilling or unable to act, he would authorize airstrikes absent Pakistan's permission. According to McCain, Obama's stated willingness to conduct airstrikes under those circumstances was an example of Obama's naivete. Not because McCain would refrain from authorizing such airstrikes (he would give the go ahead as well), but because McCain wouldn't broadcast the fact to Pakistan (as if Pakistanis would be preoccupied with such prior statements after an actual airstrike). Though there is something to be said about keeping your cards close to your vest in foreign policy matters, and there is a legitimate concern stating this policy openly might gin up anger in Pakistan's population, this particular issue became moot in January when the Bush administration began missile strikes against suspected al-Qaeda leaders in the region. Since both candidates have stated that they support those strikes, it is unlikely that with such bombings currently ongoing, many Pakistanis are going to be angered by statements by presidential candidates that they might conduct future bombings should hypothetical scenarios match current circumstances. The current bombings are sort of more pressing. Q: Does the U.S. have any options with regard to al-Qaida and reputed al-Qaida strongholds in the federally unregulated areas in Pakistan? Other than what seems to be sort of a status quo of waiting for them to come over the border, the Pakistani Army occasionally launching a strike to -- well, it's hard to say for what end because they don't seem to be sustained efforts. What are the U.S. options there? McCain: I think they're very difficult options. I think that if we knew of al-Qaida -- more specifically Taliban, it's mainly Taliban that are operating in these places -- that we have to do what's necessary. We don't have to advertise it. We don't have to embarrass or humiliate the Pakistani government. . .
. . .These are all very tough calls, and in summary I think that what happens in Waziristan will be dictated by events in Islamabad, but I also think that we, where necessary, without in any way embarrassing our friends, can have a lot of options. Q: So if you were president and you knew that bin Laden were [in Waziristan], you had a target spotting, you could nail him, you'd go get him? Don't advertise it, huh? Like, say, in interviews given by would-be presidents? "If you only watch the stock market, where the Dow was recently up more than 250 points, you might get the mistaken impression all is well with the world on the Tuesday after the latest Black Monday. But, as has often been the case during this crisis, credit markets are singing a different tune. Overnight dollar Libor rates more than doubled to 6.875%, as banks hoarded cash for the quarter end amid signs the financial crisis was spreading. It’s more than a little ironic that while investors are buying banks’ stocks — shares were up sharply across the sector — banks themselves were unwilling to buy each others’ shortest term debt. Banks are so desperate for funds that they paid 11% for $30 billion in overnight funds from the European Central Bank, up from 3% just Monday. Sure, a second round of dollars from the ECB and a 28-day injection of funds from the Fed helped calm the worst panic (indeed, the ECB’s $50 billion offer drew just a bit more than $30 billion in bids, and the rate fell back to 0.50%; while fed funds are now trading at 3.0% rather than the 7.0% high we saw them at earlier), but we’re a long way from normal. Lena Komileva, economist at broker Tullet Prebon, notes the premium for overnight liquidity is “out of control,” making it hard for central banks to instill confidence in the future. In short, credit is frozen, in part because institutions are hoarding liquidity for the end of the quarter. Monday’s Epic Fail on Capitol Hill would seem to be hurting too — except credit was worsening even before the $700 billion bailout bill died, notes Brian Reynolds, chief market strategist at WJB Capital." I would imagine that a lot of stores would normally be preparing for the Christmas shopping season by laying in inventory round about now. And I would imagine that that will be a lot harder to do if they can't get credit. Some of the alarmists out there might want to take a moment to consider all the ramifications here. It may sound harsh, but the Great Depression produced many things - one of them was called the Greatest Generation. The great economic boom of the last few decades propped up by dubious credit has produced a generation or two that thinks enough is never enough and if one can't earn it, than you either borrow it, or the government in the form of hard working taxpayers should make sure you get yours in the end. I'm no financial expert. I realize that without some plan there will be serious pain. But I also know pain is unavoidable in life. And any government that would have its citizenry believe that isn't the case simply isn't telling them the truth." Personally, I've always preferred the idea of trying to make myself as decent as possible, rather than waiting for catastrophe to do it for me. But if people's lives have to be destroyed in order to produce a new "Greatest Generation", I hope that people like Dan Riehl, who think that this sort of character-building through national catastrophe is a good thing, are disproportionately represented among them. After all, as he and his family settle in for the night in their minivan, Dan Riehl would be able to console himself with the thought that it's all for the sake of the greater good. Most of us, not having had this callous and idiotic idea in the first place, would not have that comfort available to us. It’s a nice enough theory, but where exactly is the evidence for it? Sure, we can look back and find instances where she’s handled herself more competently, but her gaffes have not been, as some of her apologists seem to want to imply, a matter of getting flustered by her failure to recall the name of the Brazilian finance minister. Her problem is not mastery of the details: It’s fundamental cluelessness about how the economy works, and a demonstrable inability to conceive of foreign policy in anything but the crudest terms. Put it this way, one thing I learned from college debate is that a reasonably bright person can generally manage to sound at least competent talking about issues they don’t really understand. I recall one case my partner and I debated where the other team argued against dollarizing the Ecuadorian sucre. We didn’t know a damn thing about the economic or political situation in Ecuador, or a whole lot about monetary policy. I doubt I could have told you the name of Ecuador’s president, let alone the finance minister. But we had some basic econ and game theory down, and I knew a bit about the Mexican peso crisis of the mid-90s, and so we were able to bluff our way through and win the round. The kind of mess we’ve seen in Palin’s interviews, then, can’t really be ascribed to an ignorance of details that could be remedied with a few more flash-card sessions. As Jeff Goldberg puts it, the problem isn’t so much that she doesn’t have the right answers, it’s that she doesn’t seem to have enough of a grasp on the questions to bluff her way through with something vague but halfway cogent sounding. This suggests that she’s either profoundly ignorant on economic and foreign policy questions, in a deep and architectonic way unlikely to be remedied by a few briefings geared toward filling in the lacunae, or that she’s just not terribly bright. Sure, Palin is probably personable and appealing when she can just ad-lib to her fans, provided the subject is her disdain for coastal latte-sippers or her fictional rejection of government largesse. The truly strange thing about this whole narrative, though, is that the high point of Palin-love, the moment the hacks are all wistfully recalling now, is the governor’s appalling alpha-Heather schtick from the RNC. In other words, the time we saw her at her most scripted, and with a script penned by one of those very Bush holdovers who are purportedly keeping True Sarah under wraps. The simplest inference from the available data points, it would seem, is exactly the opposite of the theory behind the calls to “Free Sarah”: At the end of the day, Palin is still basically a local TV news personality. Give her a prompter loaded with punchy zingers, and she’ll deliver it smoothly and with verve. It’s when she’s forced to get interactive that she runs into trouble. This is, of course, more or less the line conservative have long been pushing about Obama: He’s great with a prepared text, much more uneven in debates. Obama’s problem in that context, though, seems to be a lingering professorial tendency to want to think through his answer in realtime, covering all the angles as though the exchange were some sort of Socratic inquiry, when a well-packaged talking point would better fit the bill. This, to put it as mildly and kindly as possible, would not appear to be Palin’s problem. 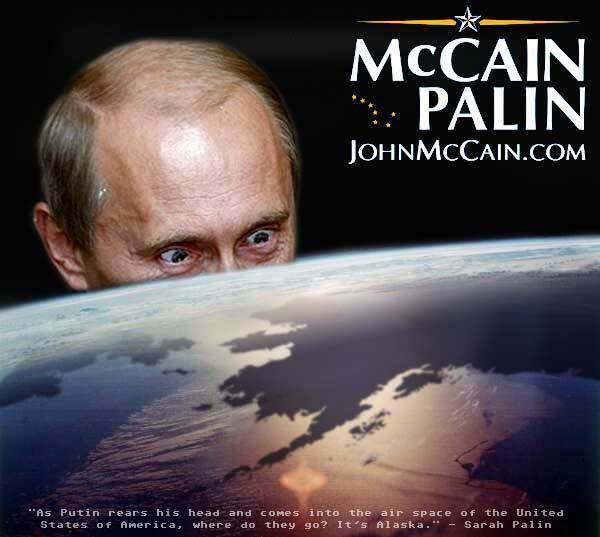 In the immediate aftermath of McCain's selection of Palin, the press attention given to the choice was overwhelming. The media (and the country) was caught off guard, and in the scramble to vet the candidate and get to know her, there was a deluge of coverage - some negative, though more positive. Right out of the gate, her political star shot through the glass ceiling roof. Her rise was aided by a well-delivered speech on a big stage at a time when she was commanding the eyeballs of the nation. Political blogs (this one included) were certainly swept up in the maelstrom - dedicating significant bandwith to Palin-related posts. At the time, many a concerned blogger and commenter warned that there was too much focus on Palin, and that by dwelling on Palin the commentariat was shielding McCain and ultimately helping the GOP cause by talking up the more popular half of the ticket. "Stop writing about Palin," went the plaintive cry. My guess is that those concerns have subsided and, in retrospect, most people would agree that keeping the heat on Palin wasn't such a bad idea after all. I'm a bailout skeptic. Not because I think that nothing should be done, but because the tendency of government in crisis is to overreact in ways that cause long term problems (think WPA and price controls in the Depression, or at least 80% of the reaction to 9/11). To whatever extent possible, the equity and bond investors who invested in the failing companies should lose their investments. This is important not to 'punish' or to be mean, but because investment markets are supposed to be about weighing risk. As such, big investors are supposed to try to find high paying investments *that are also in line with their risk*. If you save the investments when the down side of risk pays off, they will be able to make worse and worse choices believing that the government will save them if they fail. That is one of the reasons that AIG went under the way it did, it rejected sale offers from private companies because its directors believed that they would get a better deal from the government. Now it may be that it is impossible to save the system to the extent that we need to without at least partially bailing out these investors. I'm not expert enough at the gritty details to be sure. But I do want to know that to the extent possible, the investors who made bad decisions are being forced to pay off for their risky behaviour. One of the most horrible long term things government intervention did for the automobile companies under Carter was bailout Chrysler. It was horrible because it allowed both of the other major companies to believe that they didn't have to make the tough choices to really succeed, because the government wouldn't let them fail. If our main concern is framed along the lines of "the sky is falling the government has to DO something", I fear that the thing the government does is likely to be counterproductive to the health of the economy in the long run. I'm not happy that 'a' bailout failed yesterday. But I'm not at all sure that 'the' bailout really kept the most important principle in mind. Especially in its original form, it looked like a just do SOMETHING bailout. And not all SOMETHINGS are good. Like Hilzoy, count me as a reluctant supporter of the once and future bailout plan. I’m not crazy about helping scumbags who play dice with our universe. But I’m not crazy about a financial meltdown either. So scumbags it is. I won’t insult your intelligence by pretending that I have expertise in this area. I do hope, though, that there may ultimately be a silver lining — assuming of course we avoid the “Lord of the Flies landing.” My hope is that the financial crisis — coupled with the equally mammoth health care and energy crises — will cause Americans to fundamentally rethink the role that government plays in our lives. Assuming we don’t all crash and burn, my hope is that the crisis will usher in a true progressive revival — a widespread political recognition of government’s importance in people’s lives. I’ve long thought that the greatest ideological barrier to a new progressive era is people’s loathing of government. Regardless of how much people actually benefit from government services (e.g., clean air, free school), they detest “big government.” The Reagan ideological hegemony depends upon people’s knee-jerk resistance to regulation and government solutions. Even Clinton and Blair’s victories were defensive in this respect — they explicitly ran against “big government” and helped validate the criticism. To be clear, I’m not anti-market. I love me my markets. It’s just that markets are utterly incapable of meeting the great challenges of our day. Markets have failed — spectacularly failed — to create a decent health care system. An obscenely high number of Americans lack any insurance whatsoever with no relief in sight from any GOP policy. And if you have a preexisting condition, tough. Liberty demands you die bankrupt. But the failures go well beyond health care. Markets have also failed us on the energy front, proving unable to deal with the externalities associated with burning carbon. Our transportation system is in shambles — we should be building new rail lines between all major cities. As for our electricity grid — go ask the good people of Houston how their 1920s-era electricity infrastructure is holding up these days. Markets have also failed us on the broadband front — we have one of the worst systems in the post-industrialized world. And last but not least, let’s not forget our beloved Masters of the Universe. As the last few weeks have illustrated, financial markets operate upon foundations of trust. The markets, however, have proven utterly incapable of securing that trust. Instead, government has had to step in to secure these foundations again and again. In fact, the most damaging action of the last few weeks was the one time we tried to flex our free market muscles by letting Lehman die, which triggered a panic. In short, the past few years have shown that Reaganism simply doesn’t work. And the reason it doesn’t work is because it’s flawed at the conceptual core. Given the challenges we face, government must be part of the solution. Government must become cool again. Internet restored last night — I haven’t had home access since Hurricane Ike, though it seems the Masters of the Universe have kept themselves busy in the meantime. Before I jump back in though, please note that I get a one-week grace period on saying something ignorant or already-exhaustively-blogged-about. In a slower news period, I’ll explain what life without Internet access is like. But first, the bailout. Post to come later tonight — and grace period lenity applies. The bolded part is particularly troubling. It is certainly the case that governors are frequently elected as presidents and vice presidents (in fact, they have had a decided advantage over senators and members of congress in recent elections). It is also a fact that governors, by dint of their job requirements, don't get a lot of hands-on foreign policy experience (they deal with statewide matters, and don't have to grapple with major foreign policy issues as part of their day-to-day routine). However, one would expect that a governor making a bid for national office on one side of a presidential ticket would at least have a certain level of curiosity and knowledge of major world events. Even if that governor wasn't tasked with voting on foreign policy matters, keeping informed should be a prerequisite for being considered on a presidential ticket (as either the Commander in Chief, or the potential replacement). Governors-turned presidents like Carter, Reagan and Clinton managed to acquaint themselves with international issues with some depth and breadth. The issue here is not that Palin didn't know the answer. There are many possible answers to this question, some of which are right and some of which are wrong. The issue here is that she didn't know the question. She has almost no ability to respond to questions to which she hasn't rehearsed an answer for because she has very little range of knowledge to draw upon extemporaneously. She can't even identify the issue evoked by the question if it wasn't on her pre-game talking points list, so she just substitutes in a non-sequitur. In fact, her ignorance is so pervasive that she doesn't even do well answering questions to which she has a rehearsed answer. But Sir, It's Wafer Thin! I realize that others have pointed out that McCain's obsession with earmarks, and his quest to "make them famous," doesn't make sense when you consider earmark spending in proportion to the federal budget as a whole. But after watching the debate on Friday, it has become increasingly clear that despite the dubious math, the main thrust of John McCain's economic policy seems to be that he will eliminate earmarks (other than ones that cover aid to Israel and other important programs) in order to "rein in spending" and fund his $300 billion tax cuts (aimed primarily at the wealthiest Americans). Thus, it bears repeating that McCain's claims about the money to be saved by cutting earmark spending are either gallingly ignorant or deeply dishonest. Put simply: earmark spending ($18 billion) is a sliver of a tiny piece of a fraction of the federal budget - and McCain doesn't even want to eliminate them all. Taken at his word, his cuts to earmark spending would likely end up in the $10 billion range. McCain seems not to understand that earmarks are just a tiny piece of the fiscal picture. As Barack Obama pointed out during the debate, earmarks represent just $18 billion out of a much larger pie. Compare that to the projected 2009 deficit (not counting the bailout) of roughly $500 billion. Or compare it to the total federal budget of about $3 trillion. For a truer sense of the impact on the federal budget that McCain's bold new earmark cutting plan will have, you would have cut the red slice in the pie chart in half. Barely a blip on the fiscal radar. So which is it: Is McCain simply clueless about budgetary matters? Or is he trying to deceive the public about the real impact of his fiscal policies - themselves a near carbon copy of Bush administration deficit-busting tax cuts for the wealthy while ignoring crucial priorities such as health care, repairing a crumbling infrastructure, funding the development of alternative energies and other global warming initiatives?